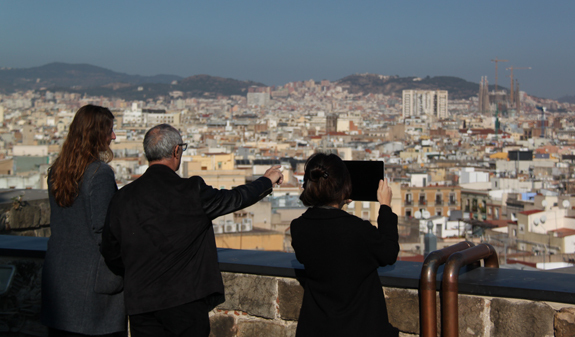 A unique opportunity to visit the rooftop of Barcelona's Santa Maria del Mar basilica. 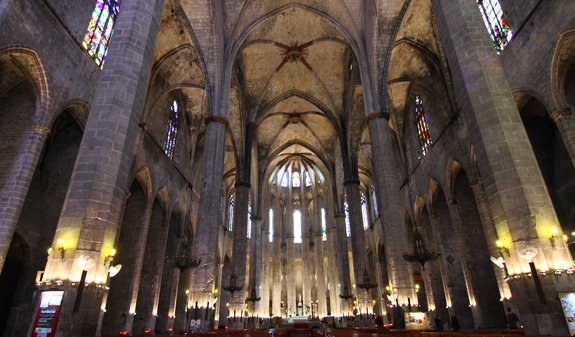 Did you think you know everything about Gothic Barcelona? 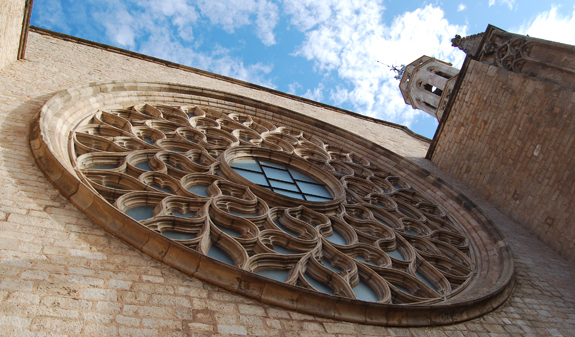 Did you think you know everything about the Catalan Gothic style? 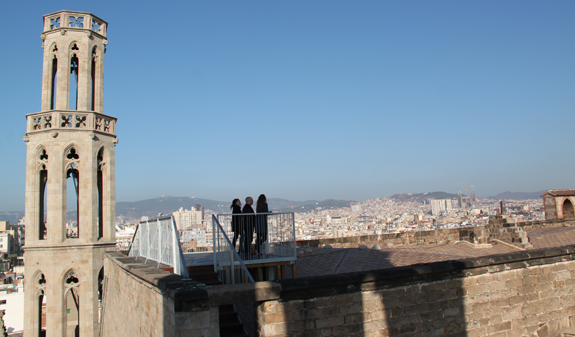 We propose you an unique tour that will give you an insight into the medieval city from a new and spectacular viewpoint. You'll explore the deepest recesses of Santa Maria, walk on the rooftop, touch the columns, while taking an in-depth look at the imprint of the passage of time and the after-effects of the 15th-century earthquake on its façade, rose window and vaults. Moreover you'll visit the tribunes and the crypt. Full guided visit at the sta. 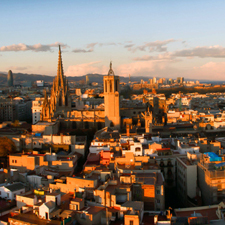 Maria del Mar (55 minutes), includes guided visit to the towers, rooftop, tribunes and the crypt; moreover you'll get an informative brochure about the basilica. 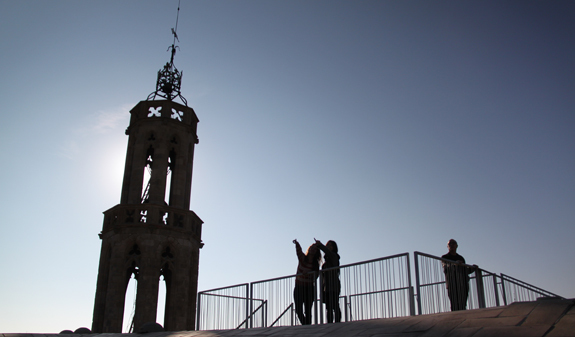 Guided visit to the Torres and rooftop (45 minutes), includes guided visit to the towers, rooftop, free access (not guided) to the tribunes and the crypt; moreover you'll get an informative brochure about the basilica. Length and rate: 40 minutes at 11am, 12pm (the cantories guide is done without guide explanation). Rate: 8,50€. Length and rate : 50 minutes rest of the visits (the cantories guide is done with guide explanation). Rate: 10€. Meeting point: desk inside Santa Maria del Mar (chapel on the right-hand side at the main entrance). 1, plaça de Santa Maria. Metro L4: stop Jaume I. Bus: 17, 19, 40 and 45.